Investigators have identified a 32-year-old man who was shot to death in the parking lot of a commercial plaza in Mississauga on Monday morning. 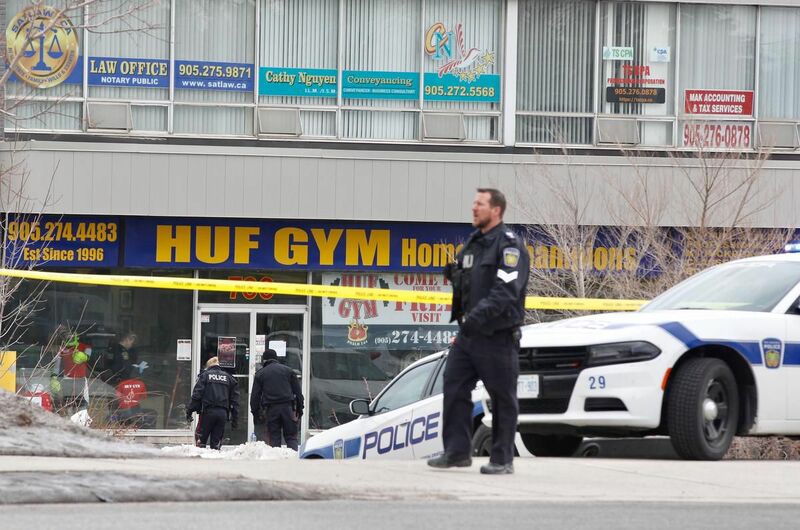 Peel Regional Police said the victim was shot in the parking lot of a plaza on Dundas Street East and Cawthra Road at about 11:15 a.m., in view of a number of people who were working out at a nearby boxing gym. Emergency crews arrived to find a man suffering from a single gunshot wound. He was rushed to a hospital trauma centre where he was later pronounced dead. On Wednesday, police identified the victim as Michael Deabaitua-Schulde of Mississauga. Investigators say Deabaitua-Schulde was a "full patch" member of the Hells Angels.